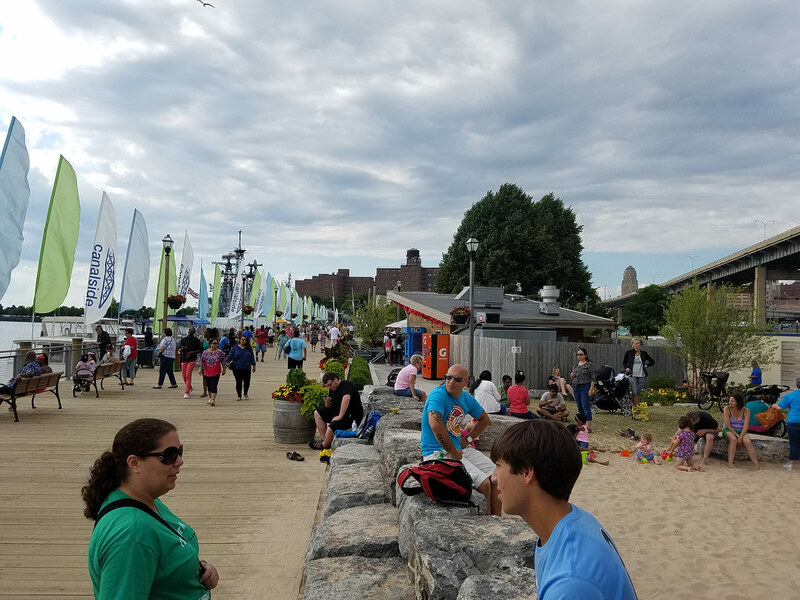 As Buffalo’s waterfront began to take shape, the idea of creating unique programming and light weight activity spaces to engage citizens and get them down to the waterfront to see what was possible was evolving. 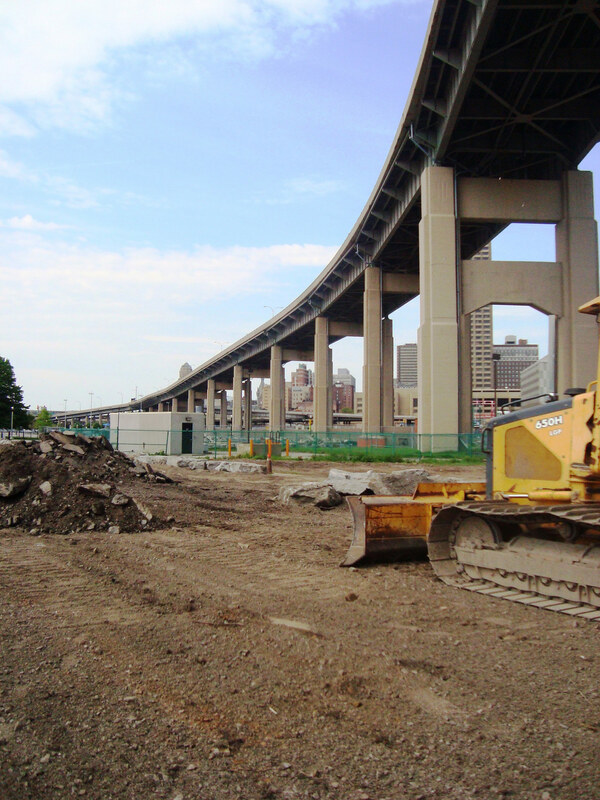 Buffalo had finally let go of the idea that a single development, a Silver Bullet project, would save the region and galvanize the waterfront as a destination. 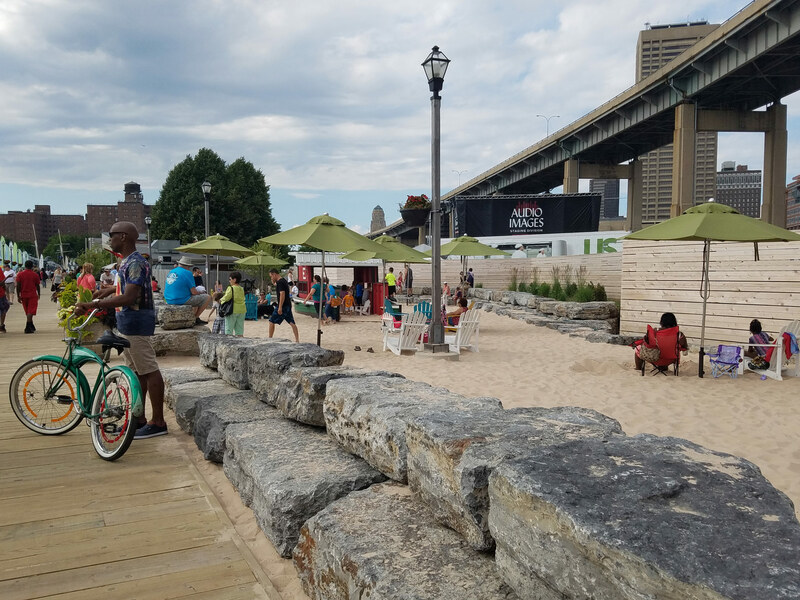 A new “Lighter, Quicker, Cheaper” model would instead be used to simply activate the waterfront in small ways with the intention of testing ideas and design methods. 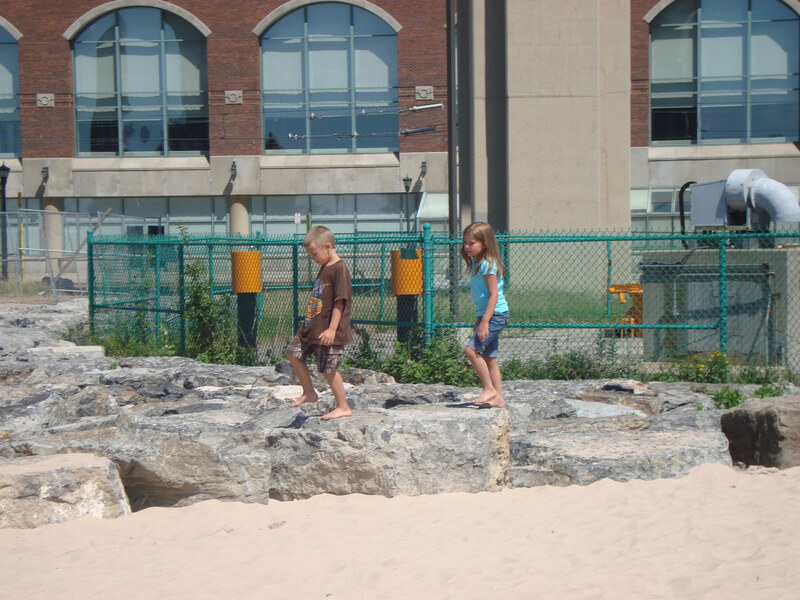 As part of the early development of what is today known as “Canalside” the idea of a children’s space that didn’t rely on manufactured equipment came up, as did the idea of providing a place to sit and see the water, with your feet in the sand, even if actually getting in the water wasn’t possible. In 2011, we created what was to be a temporary urban beach experience with the anticipation of trying it out and gauge the public’s reaction. 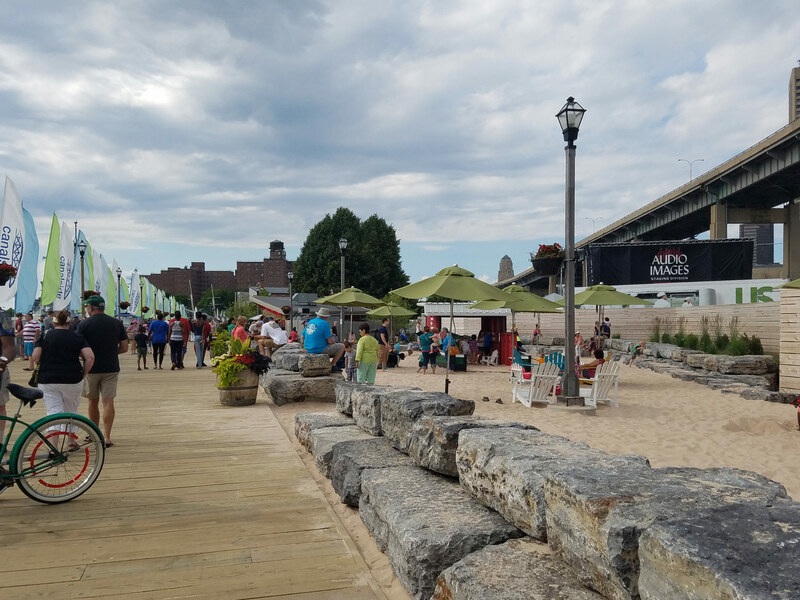 Its immediate success allowed the beach to endure for five full summers before we were brought in to make the beach a permanent part of Canalside. Because the area is part of a larger Brownfield Cleanup area, there were many concerns with excavation and the cross section of materials used to create this highly interactive landscape. The maximum 12″ excavation allowed for an ample depth of beach sand, with multiple layers of geofabric and geogrid to prevent the boundary from being breeched, but still supporting free drainage. The edges of the beach are surrounded by limestone slabs that formed the original canal slip walls. 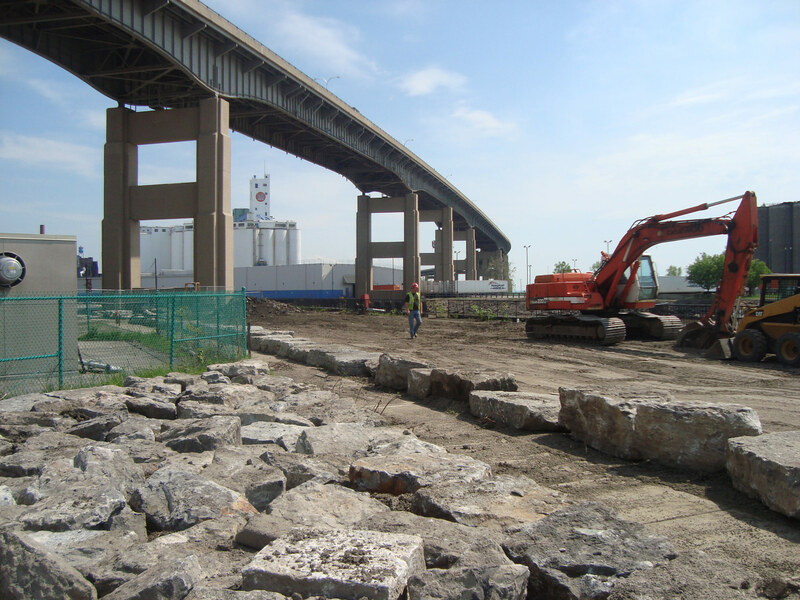 These wall slabs were unearthed as part of Canalside’s initial development years prior. 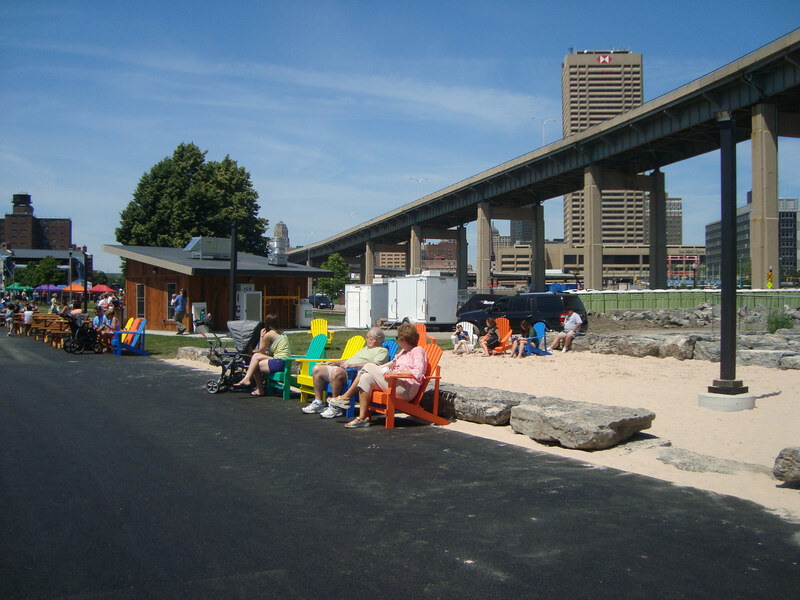 Our initial beach in 2011 was created almost as a “Pop Up” intervention with minimal costs with the intention of it lasting for one season to gauge community support. ECHDC’s Mark Smith went on to say “You’d think we invented fire” regarding the beach’s immediate draw. That temporary beach lasted five full summers. 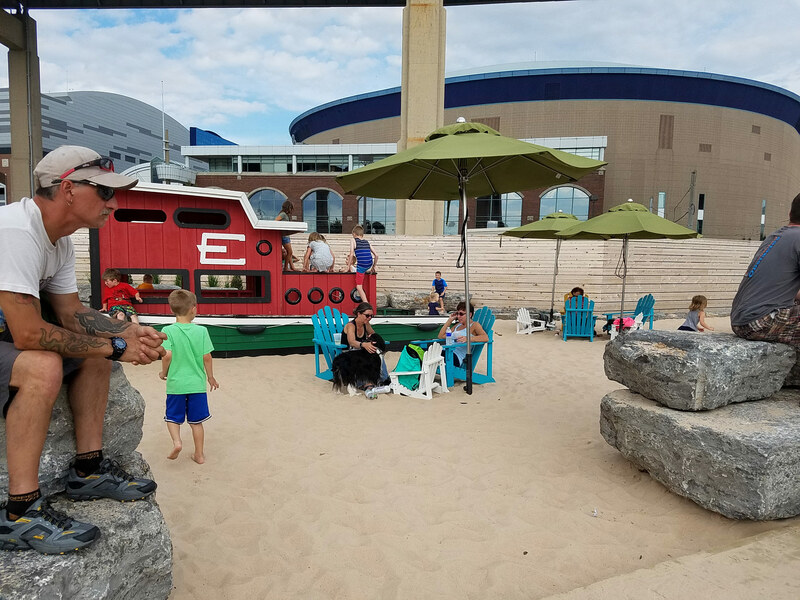 In 2015 we were asked to return to refine the design and construction details to make the beach a permanent part of Canalside. This permanent version included the extension of the wooden boardwalk adjacent to the beach, handicap access, and visual screening of the adjacent sewer pumping station that was not able to be relocated. 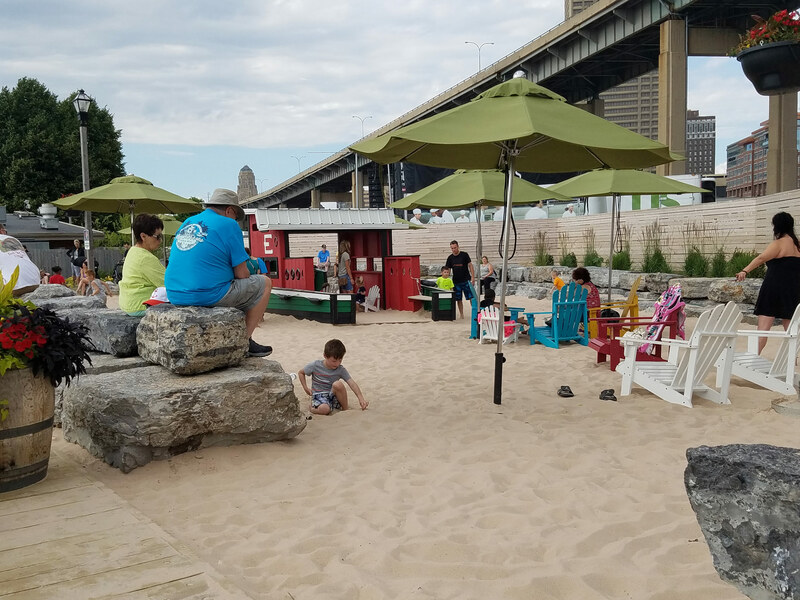 Beach umbrellas and a play structure to emulate the dozens of tug boats that would have filled the Buffalo River and Erie Canal were included.